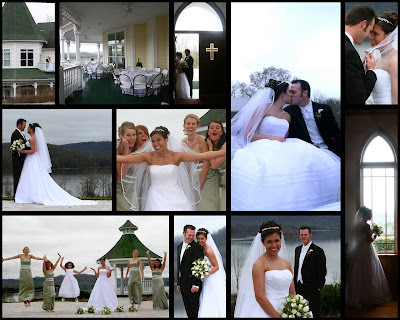 Julie and Jeremy were married at The Whitestone Inn, with a gorgeous location, and beautiful ceremony. They did see each other first and we were able again to spend some time together getting some great shots of the two of them at this fabulous location. They are both such fun and so sweet, he couldn't stop looking at her! Rebekah and I had just a wonderful day, it was not rushed, we were able to utilize our time to get everything that Julie and I had planned on and more! Both families are very involved in thier lives and it showed by the emotion of the day. Also they had many friends and family come to join them, as it was standing room only in the chapel! The desert bar went over great, especially with the kids. Thank you all again for allowing me to be a part of this wonderful occasion.